Anakin Skywalker, Jedi Knight, is just a memory. Darth Vader, newly anointed Sith Lord, is ascendant. The Emperor's chosen apprentice has swiftly proven his loyalty to the dark side. 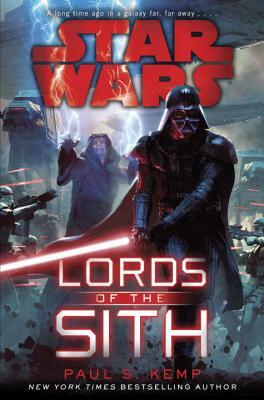 Still, the history of the Sith Order is one of duplicity, betrayal, and acolytes violently usurping their Masters and the truest measure of Vader's allegiance has yet to be taken. Until now. Paul S. Kemp is the author of the New York Times bestselling novels Star Wars: Crosscurrent, Star Wars: The Old Republic: Deceived, and Star Wars: Riptide, as well as numerous short stories and fantasy novels, including The Hammer and the Blade and A Discourse in Steel. Paul S. Kemp lives and works in Grosse Pointe, Michigan, with his wife, children, and a couple of cats.